In need of some comfort and warmth. As the temperatures drop I am craving an inner warmth and a soothing comfort. They say it’s going to snow this week. I am frantically rubbing the sparkly rhinestone sandals I bought in Dubai hoping that we’ll have a miraculous burst of summer. Damn the snow! November is such a dreary month with the days dragging on in 50 shades of grey, without it being anywhere near hot and steamy. Instead, the dark soupy mornings turn into darker dank misty afternoons and the lackluster takes control. What is November anyway? It seems to be such a useless month – not really Fall and not really Winter. A month with an identity crisis? When it comes to dressing right, I seem to always make the wrong choices in November. I am either dressed too warmly, slowly sweltering under the stockings, vests, scarves and sweaters, or too lightly, shivering without those stockings. vests, scarves and sweaters. At least the colors at the markets and grocery stores are more vibrant and offer a variety of gratifying selection on fruit and vegetables. Although, I am still seeing raspberries and strawberries on some of the shelves (! 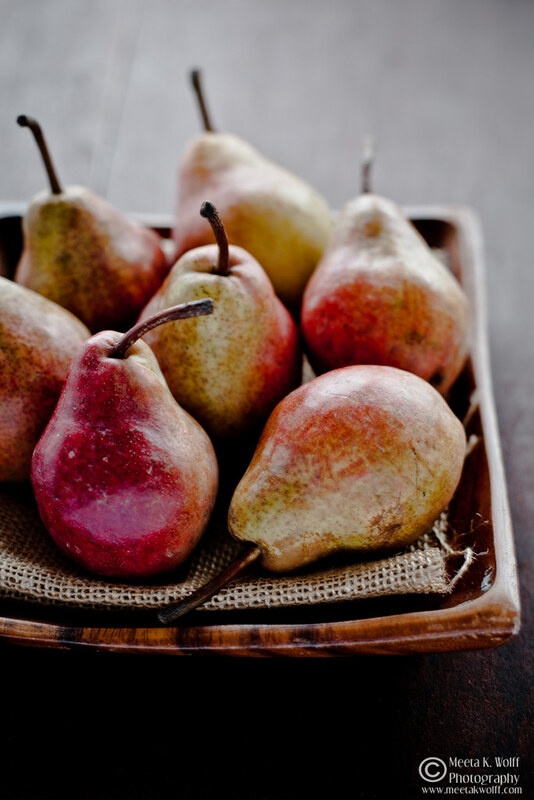 ), this time of year it was the luscious pears and the tart ruby red cranberries that got my undivided attention. 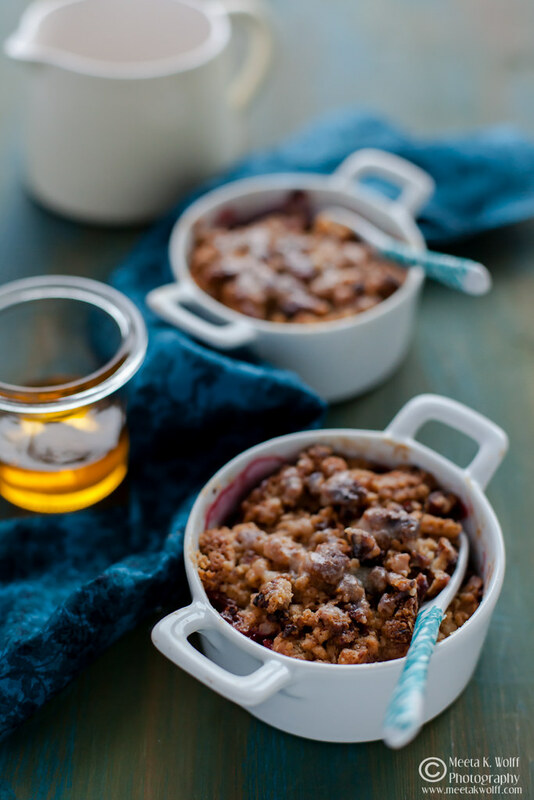 I’ve been craving an enticing, fruity crumble for a few days but the days just seem to get shorter with an agenda of tasks and lists that get longer and longer. Baking was taking a back seat and I needed to break free. At the market I decided to put a few of the pears and cranberries in my shopper. For a day or two the pears looked sumptuously at me from the wooden bowl in the fridge. On day 3 I sorted and threw away some of the softer cranberries from the container and on day 4 I ate a pear. With only 2 left and the cranberries not really getting much better, I decided it was time to crumble. I have never needed to force myself to get busy in the kitchen, baking or cooking. I love my time in the kitchen. I’ve just been putting off spending too much time there in favor of spending more time completing some task or chasing some to do or tacking some chaos or putting out some fire … or other. 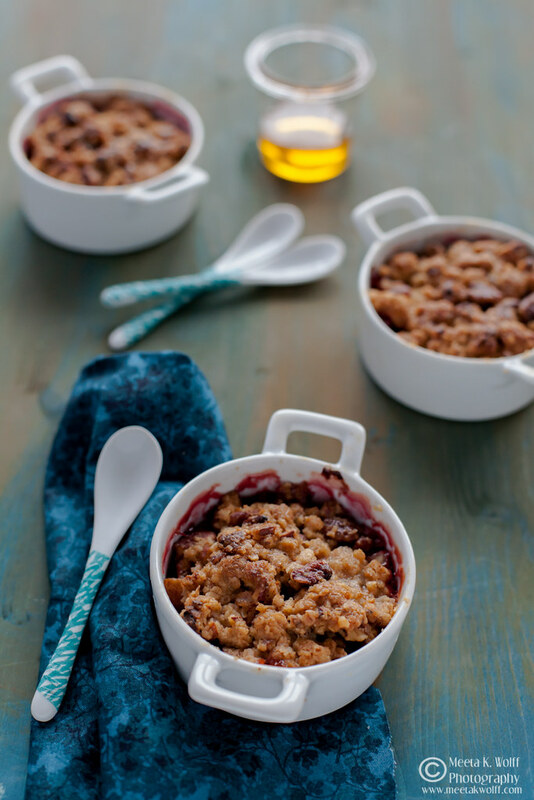 I had some fabulous ideas for this crumble. The thick sweet Balquees Raw Honey from our Dubai Workshop sponsors were the perfect addition. My selection fell on their fusion Raw Honey & Ginger which would pair perfectly with the pear and cranberry. Often it needs just one push or jerk to get the ball rolling …. Pre-heat oven to 180 degrees C. Lightly butter 6 individual ramekin bowls. Make the topping first by putting all the ingredients into a large bowl and using your fingertips rub the butter into the dry ingredients to form a few small chunks of mixture very resembling coarse breadcrumbs. Place this mixture in the freezer while you prepare the fruit. In a separate bowl place all the ingredients for the fruit filling and stir well so that all the fruit is nicely coated with the honey. Spoon the mixture into the ramekin forms. Take the crumble topping from the freezer and with your fingertips sprinkle the topping over the forms. Bake in the oven for 20 minutes or until the tops are golden and the fruit is hot and bubbling. Serve warm with scoops of vanilla ice cream or thick vanilla sauce. I love having a slightly thicker crumbly topping, crunchy and nutty. 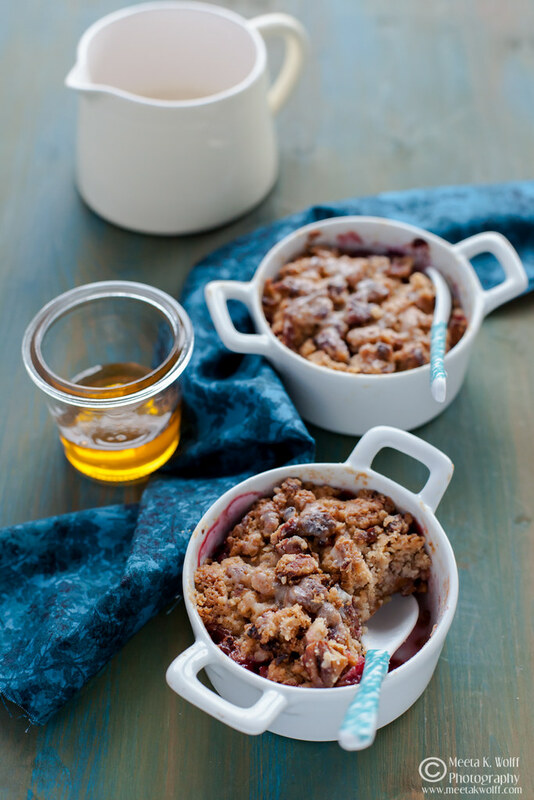 I often use spelt or buckwheat flour for the crumbles for the earthy and nutty flavors. The sweetness and tangy fruit does a fantastic job of balancing the tastes. Cooking the fruit at a medium temperature allows for the aromas to unfold gently, releasing the juices slowly and caramelizing them to perfection. I’ve made an ambitious list of all the ideas I have for some great recipes – stews, meats, cakes, desserts. The weekend will have me back in my comforting environment and I am looking forward to winding down. How do you break the rut of the routine and get back doing what you enjoy? That shot of the pears is awesome. I'm with you about November Meeta -- though here we are rushing to the big Thanksgiving holiday and all my energy will be heading towards a family dinner. 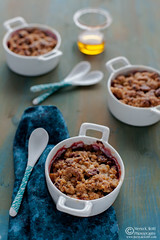 The images of the crumble are so cozy and inviting and love the honey-ginger highlights to the pear and cranberries. Inspired! Tried a crumble once, didn't turn out well. Will give your recipe a try! 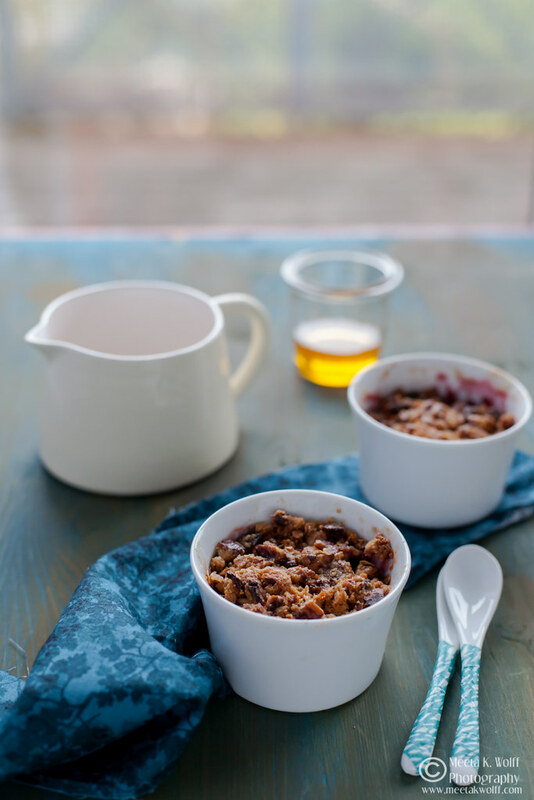 Honey- ginger and fruit crumble can beat any cold weather:) I do have cranberries sitting, wondering about making something comforting and here I go! Love your photography. Beautiful! I made this cranberry crumble for my sweetu(hubby).The surprise was that he liked it.It is the first time he liked anything made my me. I will try more of your recipes and will let you know.